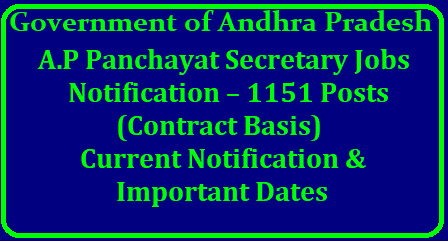 The government on Friday gave the green signal to fill 1,511 panchayat secretary posts on contract basis for one year with a consolidated monthly remuneration of Rs 15,000 as per the A.P. State Subordinate Service Rules 1996. GO No. 38 to this effect was issued by Principal Secretary K.S. Jawahar Reddy. The committees headed by the district Collectors, and comprising the CEOs of the Zilla Parishads and district panchayat officers would make the selections. In all, 2,565 posts of panchayat secretaries are vacant. Vacancies numbering 1,054 have been notified by the APPSC. The remaining 1,511 vacancies are now being filled on contract basis. The Director of Panchayat Raj and Rural Development has been asked to take necessary steps.